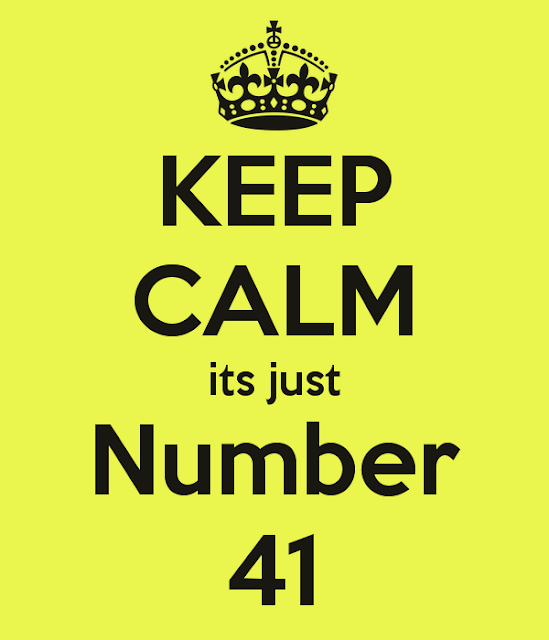 Number 41 hits the airwaves tomorrow night and very dapper it's looking too. Also, a reminder that the show is archived the following week on Mixcloud. You can listen to the other forty shows and two Xmas Specials here. This year's IPO is almost upon us, just over three weeks away. I've moaned enough about the state of Power Pop and Gig Attendance in the UK lately, so I'll lead you over the barricades etc etc by attending most days apart from the Saturday and Sunday. I will also be previewing artists who will be appearing in the three week lead up to the event starting midweek. This may be in the form of short interviews, a piece about them or a review of their current album. All will be appearing on here. The other Reviews and Radio Show will continue as normal. The IPO articles will just filter in with at least one article a day. The full IPO Schedule can be found here. I've already contact the relevant artists and will be back in touch with them from Tuesday onward. There will also be an interview with David Bash towards the end of the Previews. I'd like to make it clear that I'm not interfering with what David does in any way. I'm about promoting Power Pop in the UK and the local North West Scene. Some of the articles will be in a longer form and appear elsewhere and the local North West bands will be featured on an additional site that I am not involved with. Plastic Knights hail from Vaprio d'Adda, about 20 miles from Milan in Italy. Following on from the If I single, the band have now released their debut album. It's a great 40 minute listen, although the album is more in Classic Rock territory than we usually venture. 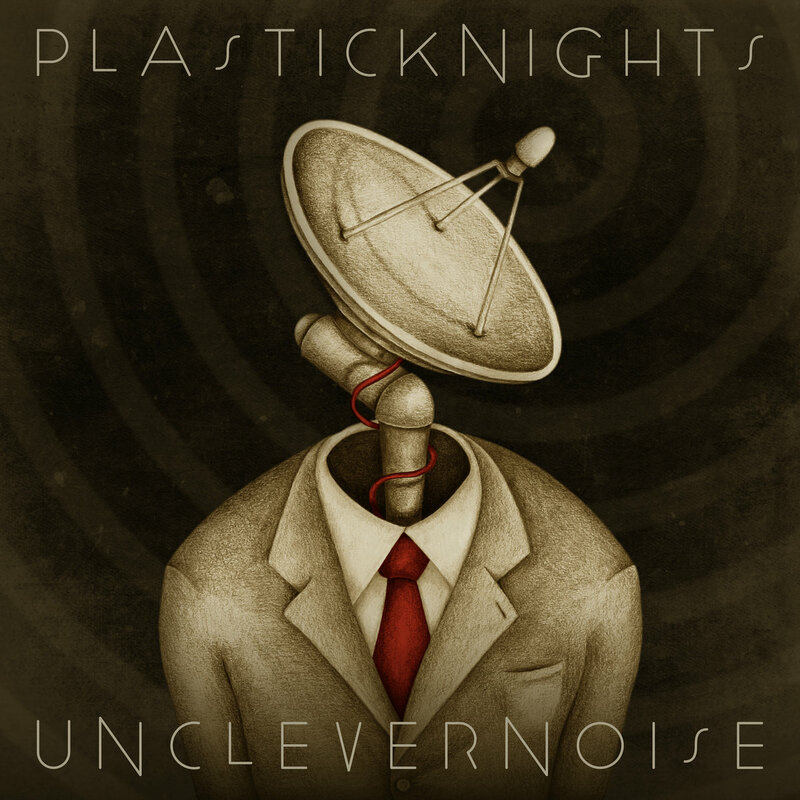 Unclever Noise will probably be promoted as Indie Rock, but the material here is much more variety led than in that catch all genre. The Four Piece dabble with Grunge, Metal, even Prog, but all of it is melodic and beautifully played. Everlasting is a sort of Funk bordering on AOR. But the nearest comparison that I can come up with is Muse, certainly on songs such as I Can't Breathe and Kaleidoscope. This wouldn't be a Muse of Gizmos and Gadgets or Voice Changers. The album is far more straight ahead than that. If I is Soundgarden like and the album really doesn't feel like a debut. Plastic Knights seem to know what they want to achieve and it is at it's best when it isn't slowed down. Unclever Noise is a really accomplished opening album. We've had the Pop Punk debate on here in the past, so that's boring, if only would go beyond the label. The better bands are not wearing baggy shorts and backward caps, they are stretching out way beyond and can't and won't be labelled. Many of these upcoming bands have more in common with Power Pop, New Wave and Pop Rock. Take Chicago's City Mouth! The five piece do not want to be Green Day, their influences, both old and new, are from far further afield. The arrangements include unusual Brass and keyboard runs, played by Jackie Heuser. She also adds additional vocals which again adds to the variety. The seven songs here come in at just under 24 minutes, but there is so much packed in that the album feels really substantial. Take the opener, Lay Awake, which was played on this week's radio show. It's 1:56 and packs a slow hand clap start and rock out end sandwiched between a superb trumpet riff. It's chock full of stuff in under 2 minutes. It's melodic joy. The other end of the album has an anthemic much longer Stay Awake, very different to that opener, although there's a closing reference to it. In between, Anywhere But Here could be early 70's Prog, think of Lamb Lying Down on Broadway. Don't get me wrong, City Mouth Rock and Boy do they Rock, but this isn't mindless, it's built on hypnotic riffs, unexpected arrangements and changes of direction at will. Special mention has to be made of the accompanying vocal arrangements. 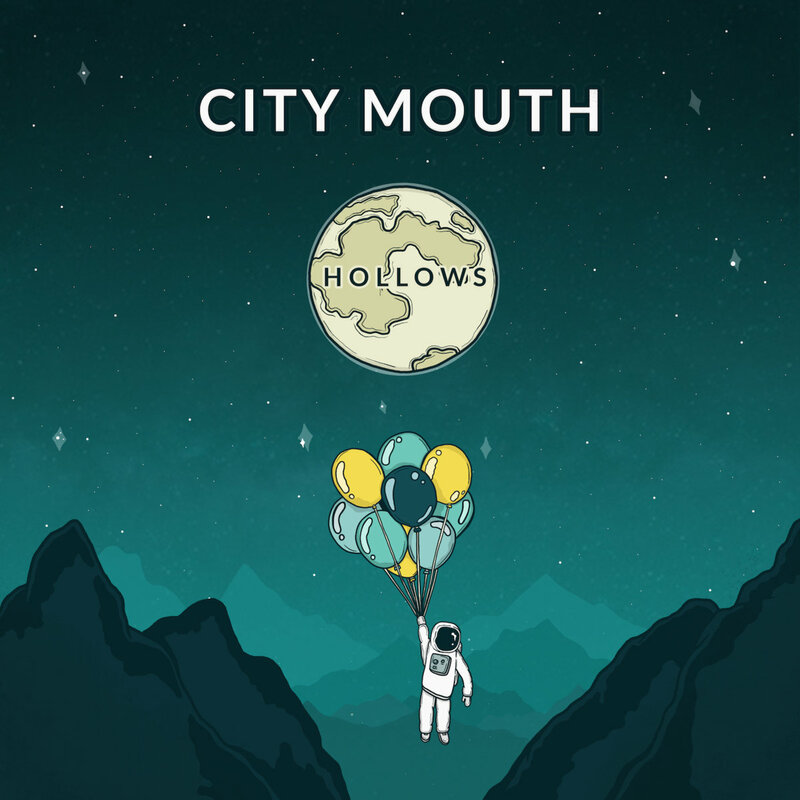 Hollows is one of the best things that I've heard this year. You can listen to and buy the album for a paltry five dollars here. Major Murphy's debut album is a double celebration. It underlines what a great label Winspear is becoming, a real mark of quality. More relevantly, the band offer up Pop Rock of the highest order, a hark back to the glory days of the 70's when this album would have sold oddles and oodles. No 1 is a glorious 37 minutes. The ten songs offer up so many references to what has gone before, but essentially are the Grand Rapids Trio's own and throughout the versatility shines through. For all the influences that you hear, the album never veers into pastische or tribute. There's a wonderful laid back feel to all of this, nothing seems rushed. Jason Bullard's vocals are suitability fragile, providing a lead for splendid arrangements and Backing Vocals. The type of songs that Major Murphy produce don't lend themselves to noise and speed. That's not what they are about. However when they do break out, it's when the album excels. The riff led closer, Lisa, Robbi And Me is a joy and the stand out Radi-Yum is pure Glam Rock, a real Bolan reminder. Normally I'd pick out more songs and references, but to be honest the whole album stands up as an entirety. The band are a really tight trio that enhances the strength of Bullard's songwriting. No 1 is a corker of an album, a testament to band and label. You should buy it now, the Summer is almost here. I Don't Hear A Single's Radio Show returns this week to liven up your lives. Number 40 brings you 16 New songs and 2 Archive Tracks. Nice to have IDHAS firing on all cylinders again. The planned new 2 hour additional show is still a couple of weeks or so away. Delays are down to me. Also, a reminder that the show is archived the following week on Mixcloud. You can listen to the other thirty nine shows and two Xmas Specials here. Since I've returned to the writing chair, I keep getting surprises, most I knew where coming, some I didn't. Well I didn't know The Supahip's second album was on the horizon and so it would appear my Pop Rock credentials need renewing. It's well known that I worship at the altar of Michael Carpenter. Australia hasn't been as abundant in the Power Pop / Pop Rock division over recent years. Music from Oz seems to have got have got more meandering or lowest common denominator. There are exceptions that I, as well as you, will readily name. The Supahip's Seize The World remains one of my favourite albums from the Naughties. Songs that shot off in all directions but were centred around great melodies. So over a decade on, it's ace that The Two Sided Face has appeared. 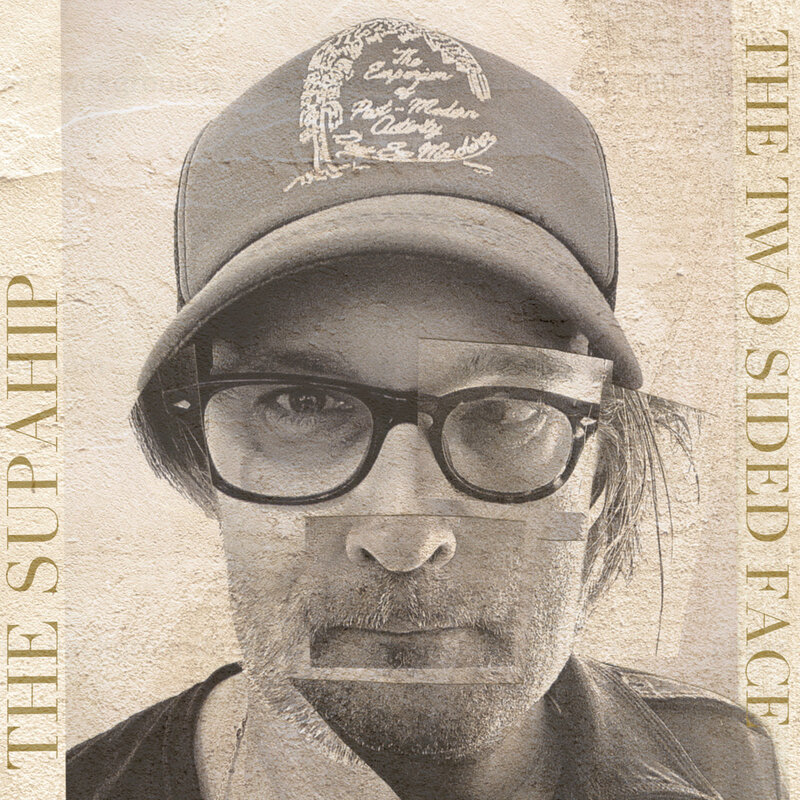 The Supahip are a collaboration between Carpenter and Mark Moldre. Those not familiar with The Supahip might expect a slightly country folk tinged album, because the former can head that way at times and the latter's acoustic solo stuff certainly does. No No Not at all. Four Arms and Got To Keep On Moving certainly fit that bill, but the album is largely a real melodic pop rocking joy. When I Started Falling Apart is jaunty Rock and Roll. Motor feels like Stealers Wheel, in fact quite a few of the songs do. Both Running Blind and Domino are great examples of Psych Pop. Wonderful examples! The real standout though is the moody meandering closer, Time To Turn The Page. I wouldn't have chosen to wait almost 12 years for the follow up to Seize The World, but it has been worth that wait. The Two Sided Face is outstanding, it'll certainly be high on my end of year chart. First up, I've always been a massive fan of The Motors, right from seeing them on The Old Grey Whistle Test doing Dancing The Night Away. I even eventually became a fan of the band's finale, Tenement Steps. When Anything Should Happen started, a decade or so ago, it became apparent that New Wave fans were far more plentiful than I had imagined. The Blog always had a far larger following Stateside and the Power Pop fans from those shores adored Bram Tchaikovsky, even more so than The Motors. Girl Of My Dreams was a real anthem to them. The Motors had three great songwriters, so it was always a little top heavy in the writing process. Although it was no surprise that Bram went out on his own, it was heaven that Bram headed a Power Pop trio, I saw them in Manchester in 1978 with Fast Cars as support. They were suitably and splendidly noisy. The three Bram Tchaikovsky albums have been fetching big money for quite some time and there have been plenty of voices wanting a proper CD release. Cherry Red have done just that, following on from the superb Yachts collection. This three disc set contains each album in individual disc wallets with the original artwork. There is also a bumper 16 Bonus Tracks which round up Singles and B Sides from the time. The liner notes are quite exhaustive and will introduce freshers to the delights of these fondly remembered recordings. Indeed, all Power Pop fans should invest in the set. The gem here is the debut album, Strange Man, Changed Man. It's an absolute New Wave Classic, containing at least half a dozen songs that could have been singles. The title track remains one of my favourite New Wave Songs ever and it was even heavier live. Add to that Lonely Dancer, Lady From The USA, Sarah Smiles and Robber and you have wall to wall quality. Plus there's Girl Of My Dreams, perhaps the only UK Top 40 hit about a Blow Up Doll. Julian Cope has said that it's a song that defines the late 70's. It was always going to be hard following this outstanding opening album. The follow up was sophomore, although a little lighter. The title track and the magnificent, Can't Give You Reasons are worth the admission alone. The Bonus Live Versions of Whiskey And Wine and Robber show how powerful the band were. Nick Garvey was back in the Producer's Chair for the finale, Funland. Major label money seemed to be spent on Over Production, something that wasn't necessarily needed, the rawness was part of the appeal. Funland also seems to run out of steam a little. Soul Survivor, a great Motors' B Side, sounds as ace as ever and Breaking Down The Walls Of Heartache is an absolutely storming song. Having said that, Funland still knocks the spots of most around at the time. Cherry Red have done a fine job here. The 3 disc set is retailing for £17.99, a bargain considering how long we've waited for the. The label is also doing a fine job with UK New Wave reissues at present. I have a long list of things I'd love to see released by them. These albums headed that list. Chris Church is one of those unsung musical heroes. You'll discover his background in the interview. He's firmly in the Power Pop crowd, but really his songs have greater depth than your average Power Pop initial comparison. Think Chris Price! Limitations Of Source Tape was in my Top 10 albums of last year here. If I was compiling that End Of Year Chart now, it would be higher. The album is a corker. Pop Rock at it's very best. Here Mick Dillingham talks to Chris Church about his career and influences. 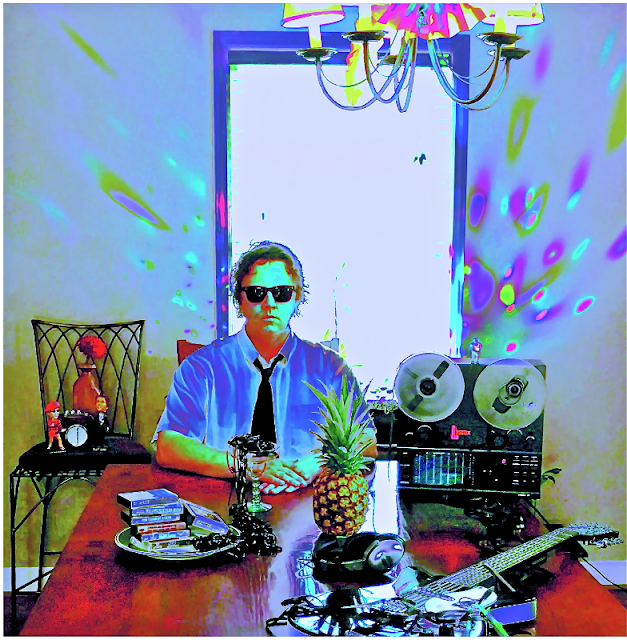 North Carolina’s Chris Church has been ploughing the same fertile guitar driven, hook filled powerpop field as Matthew Sweet and Tommy Keene for nigh on twenty years. With a brilliant new album Limitations Of Source Tape now upon us his always impressive creative abilities show no sign of dimming at all. Melodic memorable songs, beautifully realised are at the heart of his music with strong veins of classic Todd Rundgren sparkling throughout. Despite all these convenient comparisons as with all truly great talents Chris Church’s unmistakable individual take on the genre is the one thing that shines brightest of all. 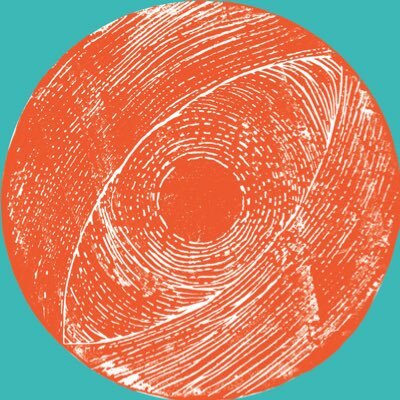 The highest compliment you could pay to his new album is to say it sounds like Chris Church and that says it all because that’s a guarantee of quality par excellence second to none. Time to sit down with this good man and talk about his career so far. I guess my early fascination with fingers plucking steel was brought on by hearing Bobby Fuller Four's "I Fought The Law". I also must admit being drawn to the finger-picking folky sound of John Denver and James Taylor albums my folks had. It was all about guitar for me. Always. On my own, discovering Frampton Comes Alive at thirteen was earth shaking for me. I went from there quickly to Zeppelin, Blue Oyster Cult and Be Bop Deluxe. My first few albums also included Kansas, Van Halen, Foghat and Starz. I was mostly into hard rock and some fairly heady stuff. Somehow I just knew, even at a young age, that melody and hooks mattered a lot to me. I was eleven. It was not very good for quite some time. I used to lock myself in my room as soon as I got home from school to try to practice. No lessons, still don't read music. Around age thirteen, I could suddenly change chords quickly enough to complete a song. When I was eighteen. The first one I remember writing was actually not nearly as bad as many others that followed. It was called "Going Through The Motions", a Cheap Trick-influenced song with no bridge, but a decent chorus about dating a "good" girl in high school. You can probably fill in the blanks there. Yes, the first band was a hard rock cover band called Sabre. A very good, very tight band. I was seventeen and we played a lot, had some good and bad gigs in our region. I learned a lot about things, but what stuck with me and influenced me artistically was the song building knowledge I got from playing rhythm guitar on all those Priest, UFO, Queen and AC/DC songs. It wasn't long before I felt I needed to try to write my own songs. I was the new kid, I had no say and the set list was very regimented. Not yet being an artist, that was just as much a confusing time as it was fun. That was a project I put together to capture the existence of my first three original bands and some of the early songs that I'd begun writing. The band I was in called The Jones was a good alternative pop rock band with my late great brother Mike Church and a bassist named John Green, who at that time was the best songwriter I had met. We got pretty good and our set list grew to over fifty songs, most of them originals. At one point we entered a regional band competition that was kind of a big deal at the time. It was set up impressively at a popular club and judged by outsiders who had some supposed pedigree and knew nothing of our local norm. The norm pretty much consisted of exclusively cover bands, not creating or giving venues much of a reason to support much originality. The fifteen or so other bands in the competition were pretty much all cover bands. We did our own stuff and won the competition...but never got our prizes. It was an eye opening experience to see how we got plenty of divisive flack from certain other bands' members, but in retrospect, that was apropos for that time and place. Almost no one from our area in small town western North Carolina understood us. We wore our oddness as a badge of honour for over two years and called it a day. After this band fizzled I switched to bass and my brother and I teamed up with my college buddy (now lifelong best friend) Scott Cornette, who had been writing some very complicated and just plain weird progressive hard rock things on guitar. I had endured a personal tragedy in that time, was fairly checked out for that period and the period of The Jones' existence. With this band, Flat Earth, I dove into extremely personal and ponderous lyrics, but we all wanted to play and co-wrote the weirdest things we could. Flat Earth were a very tight band, largely because of my brother's advanced drumming skills and the odd time signatures that we incorporated and performed at a pretty high level. 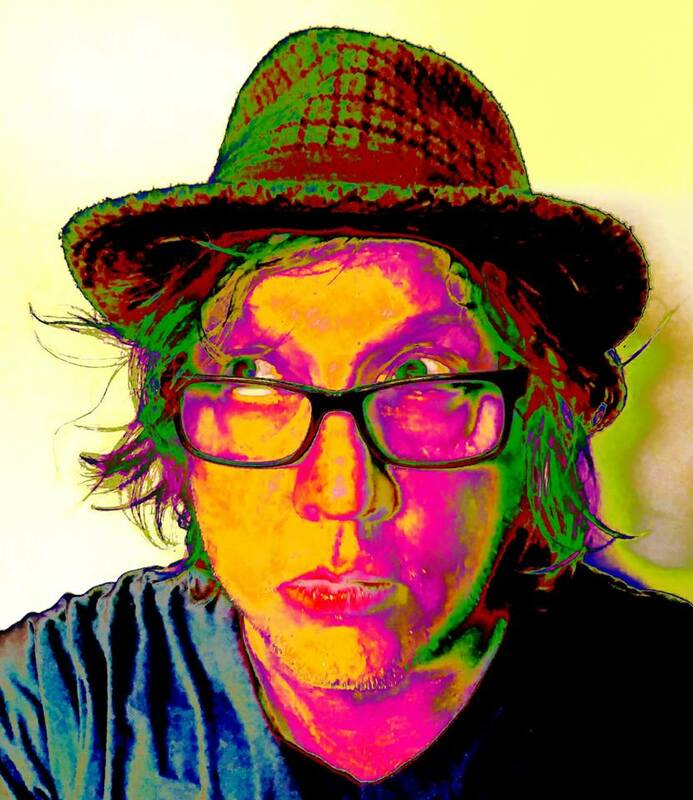 Scott had worked in radio and built connections that got us a gig opening for Billy Squier, then Joan Jett and before we knew it we were opening big shows for Kansas, Kings X, Blue Oyster Cult, The Kinks, Peter Frampton and more. We did absolutely nothing to capitalise on whatever momentum we may have had. There was very little focus on any goal, no management and our first CD was printed with the manufacturing error of leaving our address out of the liner notes. No one could have reached us had they even tried! From Flat Earth, I was drawn into the Power Pop / Alt Rock band Junkflower, which I actually played in concurrently. We gigged quite a bit in a very active college town scene in the 90s. Being in both bands simultaneously was exhausting, but provided some amazing memories and playing guitar and writing some pop rock riffs in a band where I was not the singer was a good experience for me. So yeah, "Auralollipop" was an attempt to capture a bit of a whirlwind time and to not only catch myself up, but also clear the deck for the next phase. "Goodbye Blue Monday" (title inspired by my favourite novel "Breakfast Of Champions" by Kurt Vonnegut) was directly influenced by my "holy grail" moment sometime mid 90s. 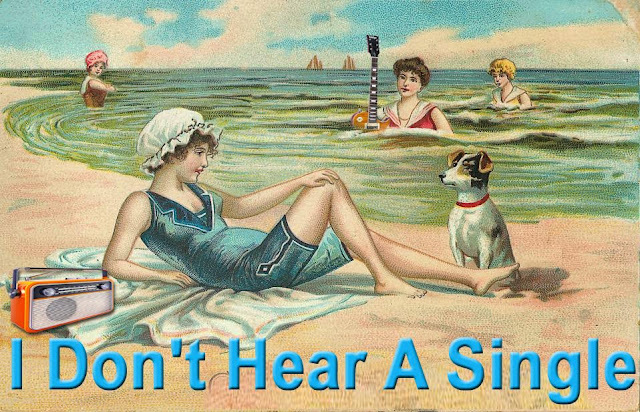 The music of The Posies, Sloan, Teenage Fanclub and a few other bands converged in my psyche to reveal what is still my favourite way to present a song, melodic pop rock with loud guitars. The band was me, my brother, and a bassist named Keith Suddreth, who is also sadly no longer with us. There were a few good ones on that record, but the lyric writing was not quite there yet to some degree. I saw a copy of the CD for sale on Amazon for something like 80 dollars the other day. Believe me, it's not worth anything close to that amount! This album was self-released, recorded on seven working tracks of an eight track reel tape machine at a very prolific point for me. I made a lot of records in the little Sweathouse of a studio that my brother and I created in my house's spare bedroom. All of this album was just me with Mike on drums and though it sounds a bit rough and is by no means perfect, I do still like all the songs on it. I guess this is probably the first good album I ever made. I remember being very happy to see a positive review in a cool magazine called Amplifier that called it "a rare thrill in this digitized age." It was.more like a guy who doesn't know a lot about gear or producing, but don't tell them that. 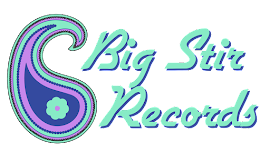 During that period I was also able to release recordings by Chalky (A Power Pop duo with John Hawkins), Jack Sabbath (23 song Bizarro Guided By Voices meets Zappa album) and Frank Burns (Grungy Alt Rock Vinyl EP with Jimi Robison, the other guitarist from Junkflower), to name a few. I didn't sleep much for the last few years of the Nineties. This one is okay with me. I had definitely progressed as a songwriter, but looking back on it, the album probably could have used a bit of editing. The band for this record was called Automatic Pilots and I got my buddy Scott Cornette back into the fold on guitar, with brother Mike on drums and a bassist named Rick Sumpter. Scott also employed his valuable skills behind the console as engineer at this point, a partnership that remains since. This includes his responsibility for a lot of the sound of our Heavy Rock Band, Dang. Not what I'd call a real fun experience, as tension came from things like stylistic musical differences, weird gigs, proximity issues and having to record in several different places. Although it possibly could have been a shorter album, it doesn't make me cringe too much. There are some good tunes here, a few that I feel are some of my best. So, the first version of this recording was to be called "Your Sun Is About To Shine". There are versions of the CD from a label in Chicago that are in circulation. For several reasons, I had gotten out of the contract, but some copies of that version leaked out anyway. To anyone who may have one, I didn't sanction or make a dime off those. So, after some time goes by, the record is altered slightly and a new version of this CD called "The Heartbreaks You Embrace" was released in 2009 by a label that quickly folded and no longer exists, including the complete dissolution of their website. Basically, a decent album became a ghost. Too bad, it sounds professional, it was recorded at a lovely studio called Epiphonic, which was built inside an old church and is mixed well. It also features a range of extremely good players, including Chad Davis from black metal legends Hour Of 13 and world-class Dobro player Jaret Carter. The record was born out of a bad breakup, so the overall wistfulness and the Alt Country touches sitting in with my Pop Rock melodic tendencies may have made this an uneasy listening experience for some, I don't know. It wasn't exactly marketed or distributed and was barely available even then. I still like it and have just released it digitally with some bonus tracks on my Bandcamp page under the title, "The Heartbreaks You Embrace - Revisited". It's free, of course. Just wanted to get it out there...and off me. My brother and I were friends who did a lot together. We sometimes got along, sometimes not, like brothers do. This was evidenced musically by the fact that even though he didn't like playing a lot of my songs and complained or shut off sometimes, he stuck with me and did it anyway. Most of my music is Pop Rock based and he much preferred Progressive Rock and spent lots of time emulating Neil Peart of Rush in his drumming. He could have joined any band, but turned down several chances to play with other people so he could play music with me, as we had been doing since our early teens. He was amazing. A very good competitive cyclist, a creative and talented carpenter, a perfectionist in any project he undertook. A handful to be sure, but a hilarious, unforgettable guy and his contributions to the overall sound of my music are vast and very special to me. I wish he were here to argue with me right now. 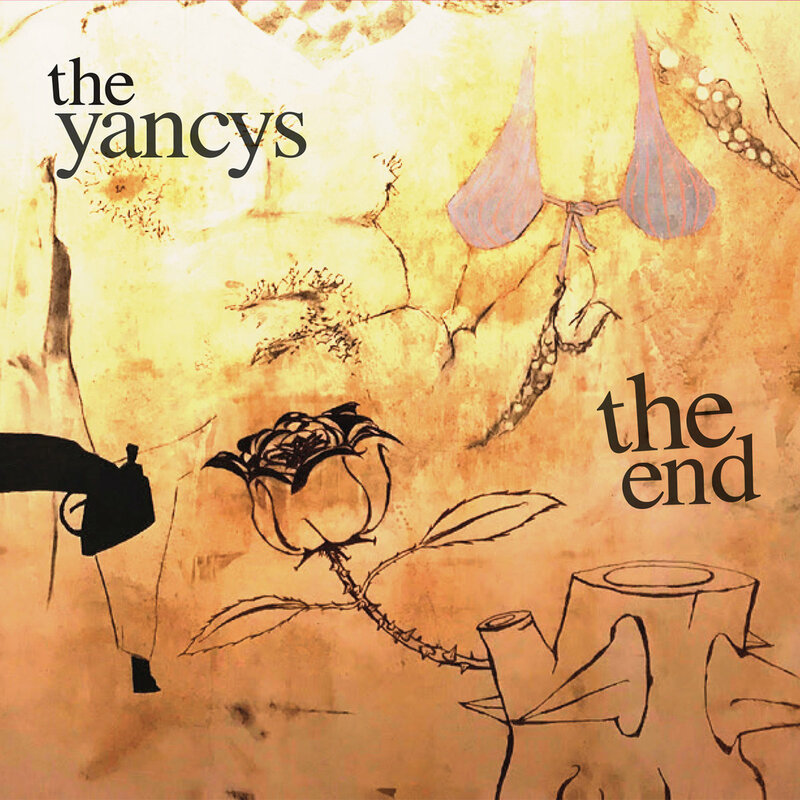 The recording of "Limitations Of Source Tape" began in my basement, with drummer John Hawkins (of past collaborations Chalky and Junkflower) and of his own continuing musical project The Yancys. 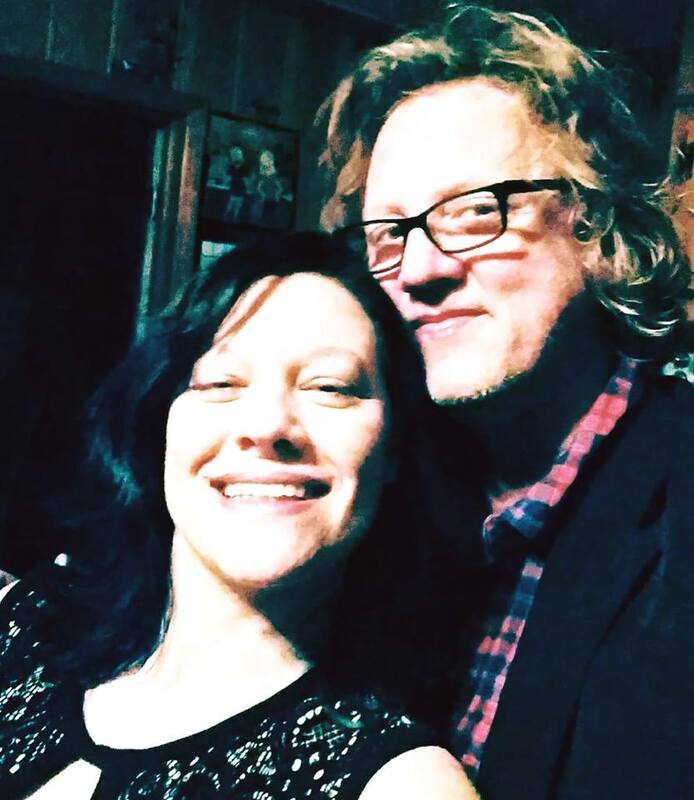 We played together live with my wife, Lori, doing the initial engineering and production. My final touches and Lori's co-production and co-mixing began a bit later with Scott Cornette at his house. I had never allowed others to completely take the production and mixing choices out of my hands before on a record. However, I felt strongly about a new approach and insisted they do it while I cooked meals for them in Scott's kitchen. I couldn't be more pleased with the results. I gave them the tracks and they built them, more decisively and in far less time than I would have been able to do it. No, actually this was another first for me. I knew which fourteen songs to use. They fit and I never doubted that. Lori and Scott didn't always completely agree. 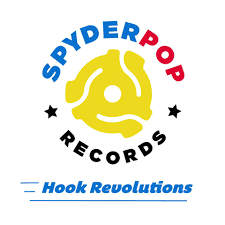 For a brief period Spyderpop Records wanted to trim it down but I insisted. It always just felt like this batch of songs belonged together. It's over fifty minutes long, but always seems shorter when I've listened to it, which is a good thing. I honestly like every song on the album and I definitely can't say that about every other one I've done. Some of my favourite moments are what some of the others did, like Lori's Glockenspiel or "Rockenspiel" as we call it for example. I won't forget how she coached John and me to keep speeding up for the end of "Perfecto" with her arms flailing in increasingly wacky motions. Also, I was very lucky to have Scott and Charles Shoemake contribute a few truly great guitar solos. Scott's work on "I Can Feel The Echo" is profoundly excellent and Charles's chiming perfect solo on "Pollyanna's Going Dark" are two big highlights for me. I am fortunate to have the help of some good friends on this project and I truly appreciate the fact that their contributions made it a better record. How does the song writing process work with you, where do you lyrical ideas come from? The song writing process has come to me in just about every way over the years. There have been a few that just landed completely as a fully formed idea, which take only minutes to finish. That's rare, of course, but it has happened. Most often, my process entails recording riffs or chord ideas and going back to them later to work on, somewhat like a puzzle. Lyrical ideas can come from just about anything. I have written some ridiculously bad lyrics and sometimes on purpose. It's not really unusual for me to rewrite an entire song if I really like the music. The words need to fit the mood of the music and I believe it's up to the artist to know when and whether that happens. I was extremely prolific when I was younger. I am much slower than I used to be. Some of that is laziness, but some of it is that I actually do edit and revisit things now before just throwing it out there into the world. If I had to narrow it way down, my biggest musical influences are probably Bob Dylan, for setting the bar on writing lyrics. Todd Rundgren for his beautiful genius melodies and completely fearless approach. Townshend, Page and Buckingham (to name a few) for the guitardation and the entire genre of what could loosely be called Power Pop. There are so many songs to love, to be absolutely obsessed with, that you only want to hear and nothing else 25 times in a row and I'm still finding more, both the occasional new ones and the nuggets I've missed before and find a thrill in discovering. I'll never ever get tired of "Tonight" by the Raspberries. It's everything. One two three FOWAH! 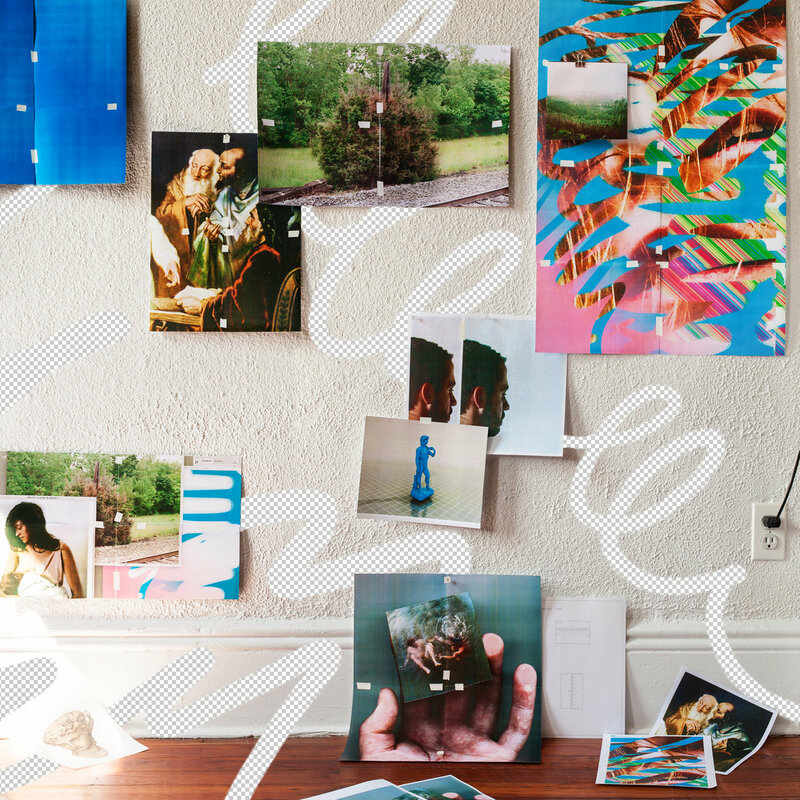 That song contains all that excites me about the entire prospect of enjoying or creating art. I know that sounds like hyperbole, but I mean it and I don't ever want to hear myself trying to explain that. I just want to know it and believe it. 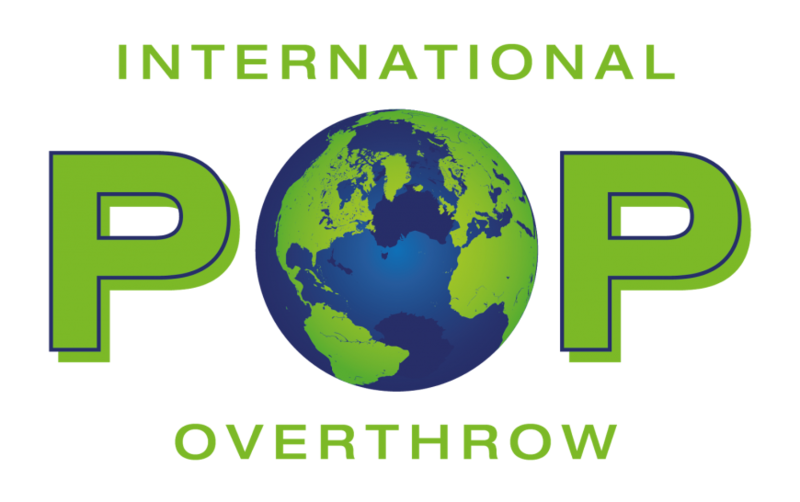 You can listen to Limitations Of Source Tape on the Spyderpop Site here. You can buy the album there or at Kool Kat here. You can download the album at CD Baby here. Chris Church's Bandcamp site features plenty of his archive here. You can download from there, much of it is free. IDHAS is Guitar Centric, I like it that way and dig in more because of the constant Guitar Is Dead articles inflicted on me. That's not to say that I don't appreciate anything else because I do. I was a very early adopter of Electronic in the 70s, but now it all sounds so samey, all Garage Band and Pro Tools and definitely over processed. I Me Mine are a real exception and deserve a mention here. There's real intelligence and depth in the arrangements. There are also plenty of nods to the past, but they are certainly one of the better crop from the 2010's. Elipsis is the French Trio's second album and you can certainly hear the progression. The two part Here Comes The Man bookends the album and it's a joyous anthem. Think of a modern Alan Parsons Project, less words, more harmony. Those older references spring out. At times you hear Supertramp, 10CC, mid 80's Sparks, but you also can relate it to more modern masters like Tame Impala and Ooberon. The lack of guitar doesn't matter, because you become consumed in the melody and arrangements. The closer, Feel, adds an Acoustic strum and could almost be The Verve, it is wonderfully moody with a stunningly arranged backdrop. It even breaks out into a Radiohead Ok Computer wannabe. Aviator is all jaunty pop and singalong in complete contrast. A Special mention though must be noted for Elephant In The Hallway which is all Beatlesque Psych, a crackerjack of a song and completely unexpected. Maybe the band's future may be in Prog. I Me Mine is a corker of an album. Something that many of us wouldn't ordinarily listen to and that's to our detriment. Let me know if I've got it right if you aren't convinced. Links to Spotify etc are here, as well as links to buying the download. Bob Vickers returns 10 years after the debut of the poptastic Gallimaufry and Album Number two doesn't disappoint. As a founder member of The Orange Peels, it's fitting that Vickers is back with Allen Clapp at the Boulder Creek version of Muscle Shoals, Mystery Lawn Music. The 60's pop references are still present, the opener is very Hollies like, whilst Faded Away is all UK Beat 1967. But in between those songs, you realise how varied Vickers can be. Money Can Buy Me starts all protest song before delving into a White Album psych chorus. It's a revelation. Bleaker And Bluer is all Lollipop Shoppe jaunty Psych, whilst In Memory is a lounge torch song. Blue Collar Cruel contains another outstanding lyric, it's a noisy dismayed joy of song. An ode to self expectancy. A perfect anthem for the me generation. Walkabout reminds me of one of those Break Up songs that Brit Pop bands added to an album to show that they were self aware and not just one riff. There's a lovely chiming jangly riff, a mix of Mid 80's Scots Pop and a Creation discovery. Bored is all aching tedium, the type of song belted out on Ready Steady Go, well more mimed out. 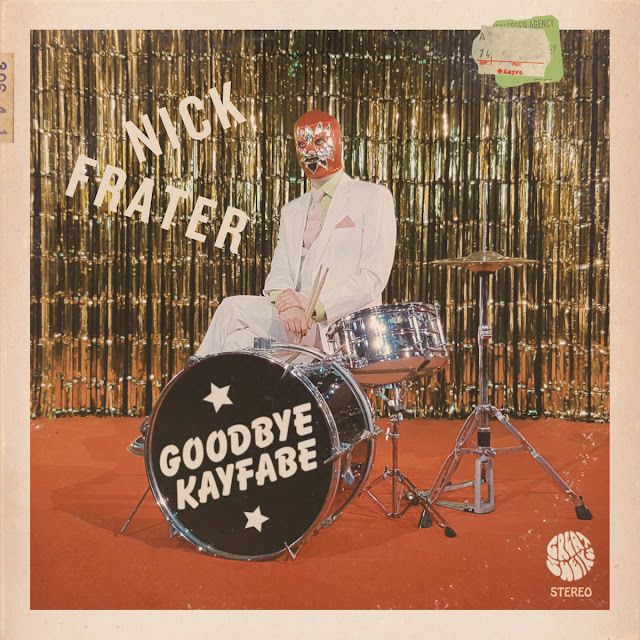 Hungarian Girl is stripped down singer songwriter fayre whilst Wreck Up Ahead is a splendid moody closer accompanied by a haunting slide riff with a real Go-Betweens feel. 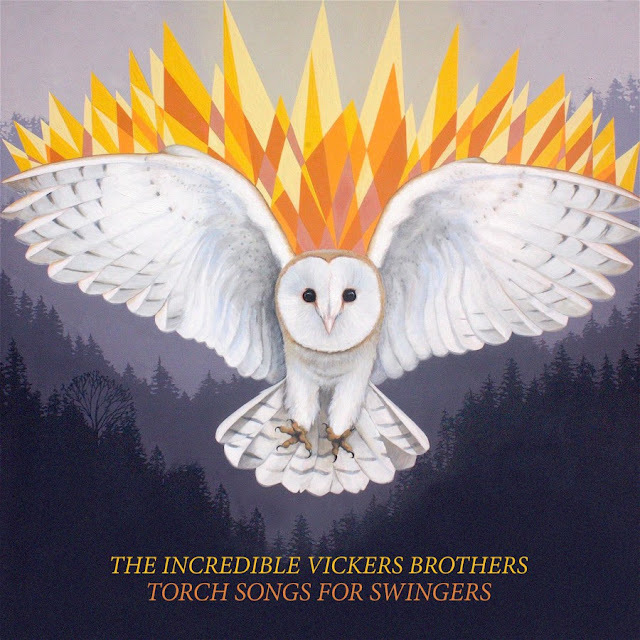 Torch Songs For Swingers is a remarkably well made album. Plenty of depth, more than enough to keep you rapt. It's a proper album to be listened to from start to finish. A large round applause please fro Bob Vickers and another of the mountain of plaudits that should be aimed at Mystery Lawn Music. John Hawkins hasn't been in the public eye for a decade or so, but his pedigree has never been in doubt. His involvement with the underground Indie Rock scene is noted, encompassing the likes of Yo La Tengo, Archers Of Loaf and Cracker. 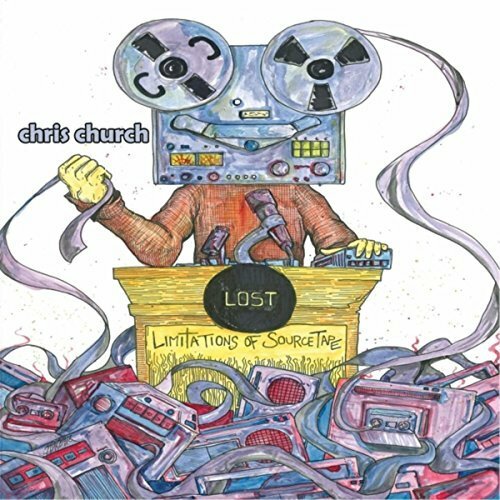 He has a lot of history with Chris Church (look out for an interview with Chris In the week), including work on Church's Limitations Of Source Tape album, which is in many Top 10's from 2017. The most striking thing about this album is that it is a guitarathon, it certainly rocks and not gently. Hawkins's vocal is a sort of Tom Petty who has just woke up, maybe imagine Petty fronting an alt rock outfit. The guest guitar players are a who's who of the underground. The likes of Chad Nance, Rod Night, Jon Kirby and Chris Church himself are featured. These guitarists add a paint stripping melody to the songs. The solo on Deplorable is a wonderful thing and the riff on Institution could be Thin Lizzy era Brian Robertson. Yet Brown Shirt is pure Power Pop with a killer chorus. The End could be described as rocked up Power Pop or even melodic Indie Rock. Either way it's never boring. It is a concept album, although you would never really know that. It doesn't come up for air until the slowed down closer, Silver Ships, and why should it? There's an in your face Anti Trump lyric to most and again that's all well and good. An album will stand or fall with the quality of it's songs. There are 12 gems here and you will shake your fist with most. This is an outstanding rock out, classily done and I can't wait for the next album. 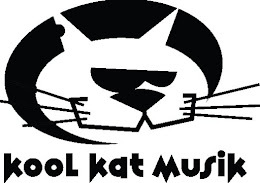 You can listen to and buy the album here or the disc is available from Kool Kat. IDHAS was only meant to be in a little cupboard in the corner of North West England. It has become so multi faceted that it's a bit frustrating. It's all wonderful of course, but I fret it's losing sight of what it is actually about. It was started to review new and under appreciated artists on a if I like it, you may too sort of basis. As I Don't Hear A Single branched off in all directions, it's main aim has been put on the back burner. Today was set aside for reviews, as was the Easter Weekend, there are potential 60 albums I could tell you about and yearn to do so. I've spent most of the day talking to musicians about future projects and although it's a great situation to be in, those Reviews are still waiting to be written. Skype Life is fun, but it leaves the IDHAS Pages blank. So I'm thinking the plan will be to avoid all distractions for the next week. I can reply to messages, emails, etc as and when I break away from the Reviews. It may result in overload for readers as they see lots of Reviews. Buck it gives the Blog a restart and makes me feel more comfortable with what is happening there. If you've been waiting for a Review, it will appear during the upcoming week. After tomorrow that will be UK Evening Time onwards. 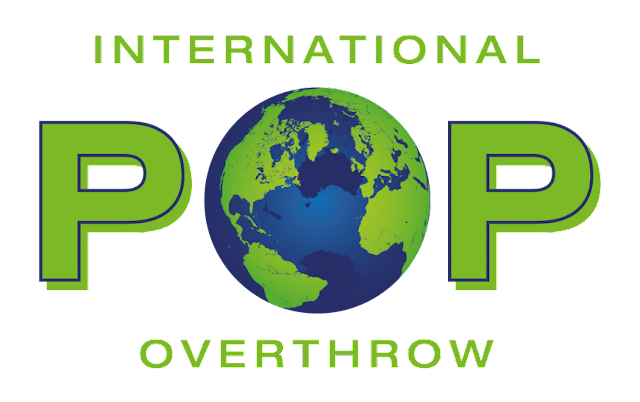 Nothing changes in the IDHAS world and other things continue to evolve. I just feel that the Blog needs to get back to where it was and then it can progress at the leisurely pace that suits us all.